The most frequently asked questions about the Anand Kumar's Super 30 has been answered in this blog post. From what is Super 30 to How to get into the Super 30, I have tried to answer all the questions in detail. 1. What is Super 30? Super 30 is a non-profit leading educational program which offers free coaching to economically backward students for JEE (Joint Entrance Examination) – an exam to get into IITs (Indian Institute of Technology). It is established in Patna, India. Every year, the institution takes 30 extremely poor students and provides them education along with the study materials, food and lodging – all at no cost. 2. Who is the founder of Super 30? 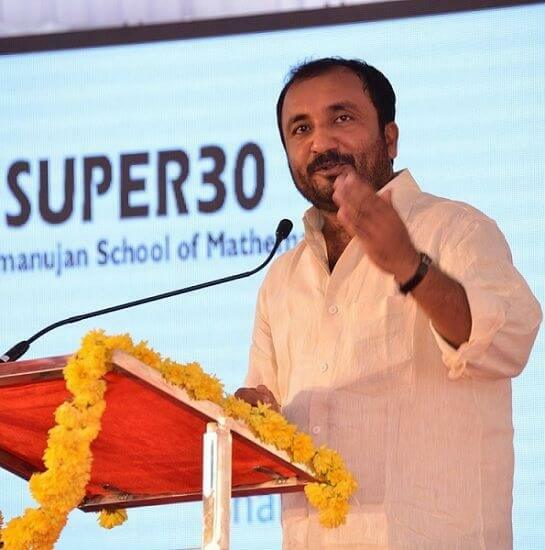 Super 30 was founded by a mathematician named Anand Kumar in 2002 which runs under the banner of his own for-profit organization RSM (Ramanujan School of Mathematics). He himself was so poor that he, somehow, managed to complete his studies after a lot of struggle and difficulties due to the financial situation. After that Kumar decided to teach 30 talented but poor students for free every year and that’s when the Super30 got founded. 3. 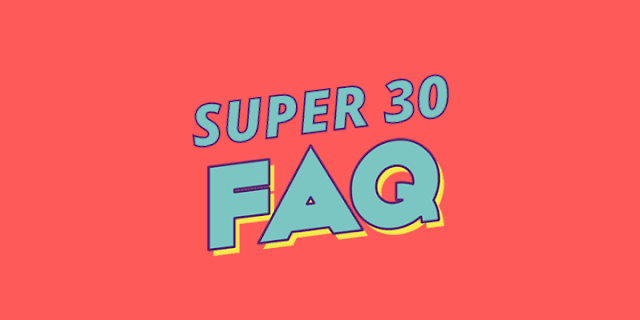 How does the Super 30 function? Super 30 is a non-profit organization which claims to provide free education to the 30 talented but poor students every year for free. The founder Anand Kumar raises the fund for the institution from his other for-profit organization Ramanujan School of Mathematics and by organizing few evening classes in and around the city Patna. The institution organizes an Entrance Examination every year in which only 30 students get selected as per their performance in the entrance test and their financial condition. All those 30 students get free education, food, lodging and even study materials. Anand with few other teachers takes care of the education of the students while his mother Jayanti Devi and the brother Pranav Kumar take care of food, lodging and some other basic needs of students. Many, private, as well as government hands, have come to Kumar to provide some financial help but every time he denies any kind of help and bears all the expenses on his own. 4. What are the eligibility criteria to get admitted into the Super 30? The eligibility criteria to get into the Super 30 is almost the same as that of the IIT-JEE but since they take only financially backward students, they will also be verifying your financial status before you take admission. The students of Class 10th, 11th and 12th are only eligible to appear for the entrance test. In other words, you will have to be talented as well the economically poor in order to get into the Anand’s Super 30. 5. What is the Super 30 Entrance Examination Syllabus? In the entrance test, they will be asking you questions from the subjects Physics, Chemistry and the Mathematics as well. 6. What is the pattern of the Entrance test? Super30 conducts the entrance test in two rounds where questions from Physics, Chemistry and Mathematics are asked. First-round happens to be of 1 hour in which 10 questions from all the 3 subjects are asked. Second round happens to be of 3 hours in which 30 questions from all the 3 subjects are asked. Generally, all these questions are of the single correct type with the negative marking. It is yet to be sure that whether all the students appear for both the rounds or just the round 1 qualified students get to appear for the second round of the entrance examination. 7. How to apply for the Super 30 Entrance Exam? In order to apply for the Super 30 Entrance Exam, you will need to fill up an application form and submit it with the other supporting documents at the nearest regional centres of the Super 30. Get a printout after downloading the PDF, fill it up properly and submit at the nearest super 30 centres. You will need ₹70 as the application fee while applying. 8. Who can apply for the Exam? Students from 10th as well as 11th and 12th can apply for the Entrance Test. But, since they provide free education, you will have a poor financial background in order to get admitted into the Super 30. 9. When is the entrance test held? Generally, the Entrance Test is held in the month of May and June but it might vary as per the circumstances. You must keep visiting their official website in order to stay updated about any announcements. 10. What fees do they take to take coaching in Super 30? As already mentioned, Super 30 is a non-profit organization which provides free education to the economically backward students. So, except the ₹70 application fee, you will have to pay nothing in order to get the coaching into. 11. What is the cost of the Super 30 Application form? The institution has kept the cost of the Application Form optimum for students as well as the institution. They take only ₹70 as the application fee. 12. Which state students can apply for the test? Earlier the students from Bihar were eligible to apply for the entrance test but now, as mentioned on their official website (http://www.super30.org/Applicationform.html), students from Jharkhand, Delhi and Uttar Pradesh can also be able to apply for the test. 13. What is the duration of the Course? They have clearly mentioned on their website that the duration of the course is of 1 year. 14. What else do they offer along with the coaching? When you get admitted into the Super 30, you will be getting free coaching along with the study materials, food and lodging too. 15. Where can I download the Application Form for the test? You can download the application form from their official website. However, I have provided the same which you can download by clicking the below buttons. 16. What is the Application Procedure? If you have any questions regarding the admission or anything you can send them an email at [email protected]. 17. What is the address of the Super 30 main office? 18. When is the result of the test published? Generally, the result is published after 2 weeks after the entrance exam. But, under some circumstances, it may be delayed. Hope I have answered all the questions that you have about the Anand Kumar's Super 30. But, still, if you think that I have missed out any important question then feel free to let me know in the comments below. I will be adding them in the post as well.